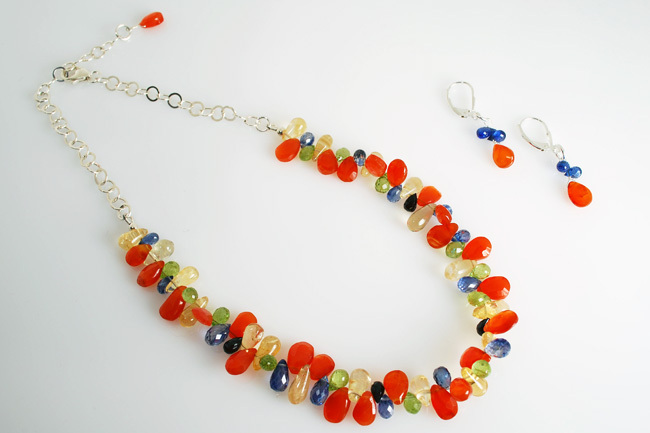 A striking garland of briolette cut carnelian, green peridot, blue kyanite, black spinell and golden citrine recall the colors of summer nasturtiums. Wear close around your neck to frame your face. Shown 16.5-17.5″ long with adjustable sterling silver chain.